Previously, we looked at how inflation adjusted returns for the NIFTY, from 1991 through 2016, was 5% annualized. How does it look for bonds? 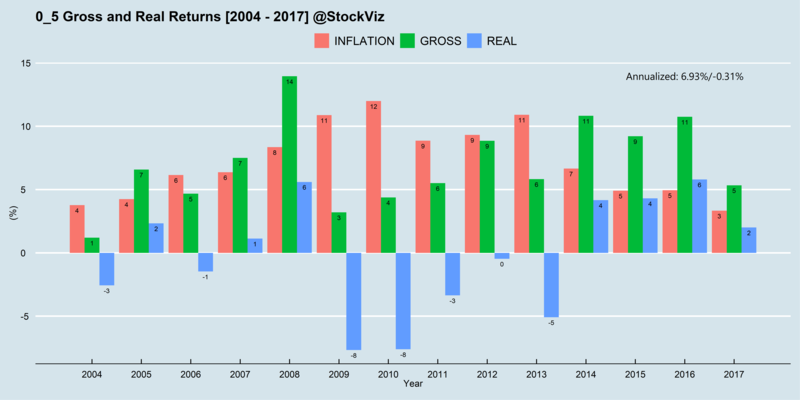 At the short-end of the curve, it looks like inflation ate away all of the returns… and some more.